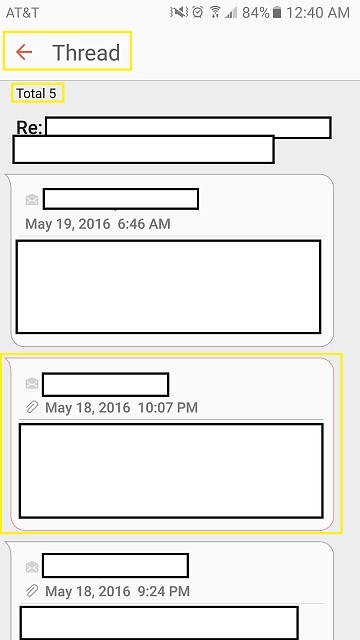 Android 6.0.1 / Galaxy S7- Default email app: View as Conversation missing? 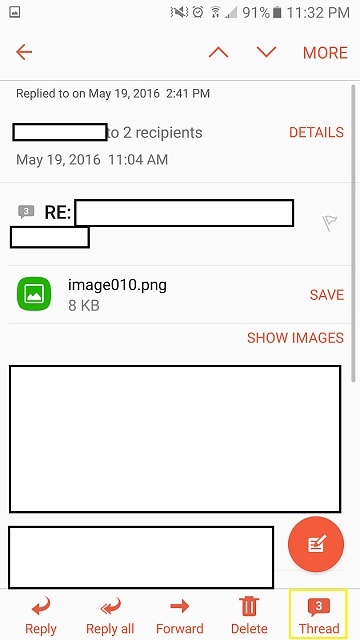 So at work I just got upgraded from an S5 to an S7 and noticed the default email application for exchange does not have the option to view emails in my inbox as a "conversation". 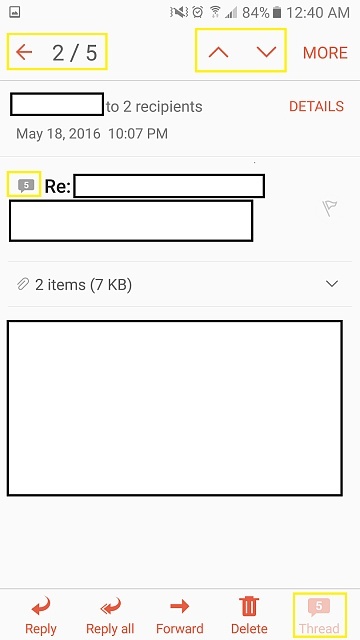 We have really long email threads, not to mention 100's of emails a day, this feature is really missed. Does anyone know if this is a planned feature to be added? Or am I missing something? Same here, would really like to know if there is a solution to this. Hey guys!! This is my first post on Android Central but used to be active on XDA when I had my Galaxy S2, S4, and HP Touchpad. Spent some time looking at every option and have an answer to this question!!! 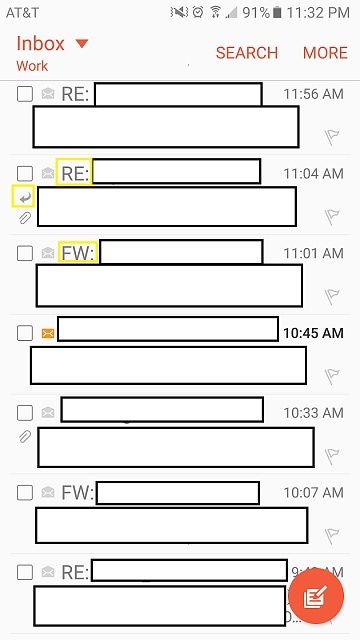 There is however an indicator once you are viewing an email, again RE: and FW:, of how many messages are in the thread! Why the HECK isn't that on the very first Inbox view!?!? Why is my Galaxy Core Prime vibrating for no reason? Mini-View Busted in MM, what do I do? How do I copy music files from Android phone to new Google Pixel C? Why can't I access Android when it says process system isn't responding? Want to open default page and ONLY list of website listed on that page using Android phone tethering, how can I do this?